Last week you'd seen me take part in the #BareFacedorBold challenge using the KIKO Clic System palette*. This was provided to me by Westfield and I wanted to let you know how I feel about these eyeshadows overall. 402 Chocolate, 258 Mat Yellow, 274 Mat Light Sea Blue. This was the first time I've used any products from KIKO and I was looking forward to it. I had been told by a few people the eyeshadows were in poor quality and were not very pigmented. After swatching a few in stores before the challenge I begged to differ. Once swatching these on myself properly I noticed there has to be more of a technique for them to work on me, I used NYX Jumbo Pencil in Milk and patted it on rather than swept to get more pigmentation. I could then sweep over any existing colour to get a transitioning blend like I did in the Bold Look 2. The Infinity eyeshadows (RRP £5.90 each) can be used dry & wet. I found that when used wet as I did in Bare Look 1, I sprayed MAC Fix+ onto my brush and patted onto the eyeshadow during application my eyelids stung sligtly which was very uncomfortable for awhile. I decided maybe the combination of those 2 brands didn't work well on me. When I did Bold Look #3 I used Illamasqua's sealing gel to turn the powder eyeshadow into more of a fluid. It worked but the pigmentation that KIKO claim just wasn't there for me. Overall some colours worked best than others, more so the Metallic & Sparkling they tended to work a lot better than the matte colours. It happens with brands, you've got more pigmentation in some colours than others. I'm open to trying more from KIKO as you just never know what might be a hit, the formula might change etc. 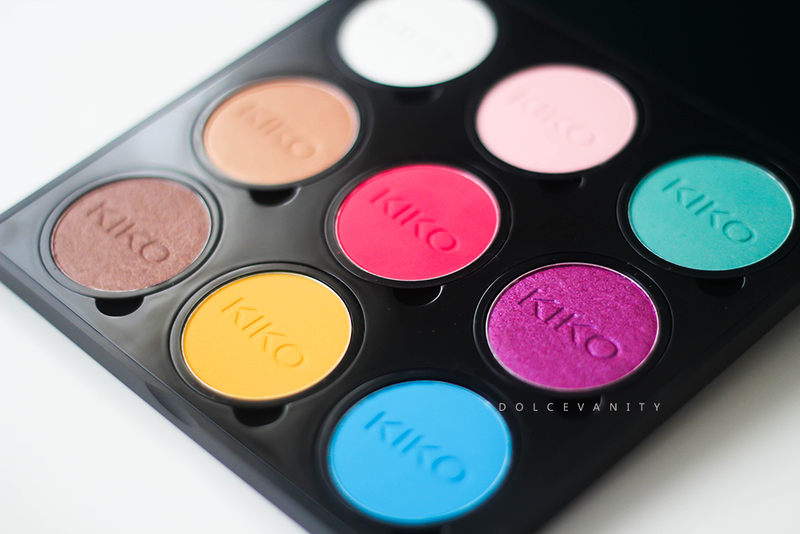 Have you tried anything from KIKO Cosmetics?